At the beginning of this year, when Honda promised it would launch 15 new products in 2015, most of us took the 'new' bit with a pinch of salt. Yes, HMSI did launch the CBR650F back in August, which, in our opinion, was an exciting Honda to be launched in India after an awfully long time. And, it seems the Japanese giant decided it was finally time to launch a product that will, in its words, “herald a new era of street naked sports biking in India”. On that highly optimistic note, we present to you the new Honda CB Hornet 160R. 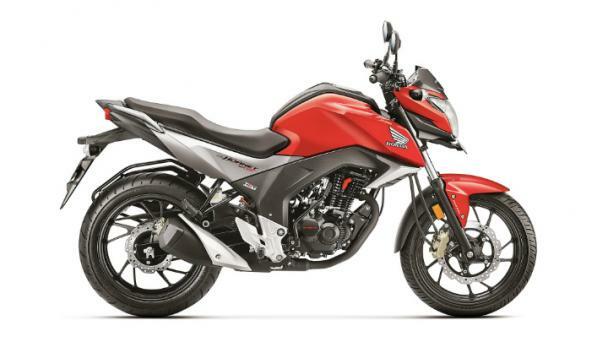 Replacing the CB Trigger in India, the Hornet, as its suffix suggests, is powered by a 162.71cc motor, which is the same as the Unicorn 160's, with power rated at 15.66bhp and 14.76Nm of torque – that’s 1bhp more than its commuter-oriented sibling. This segment-first BS IV HET motor is mated to an industry-standard 5-speed gearbox. The Hornet comes loaded with features like a digital instrument pod, petal discs at both ends, Combi Brake System, a 140mm-wide rear tyre and a stylish ‘X-shaped’ LED tail-lamp. Everything else on this latest street fighter remains quite similar to the Unicorn, like the diamond type frame, telescopic front suspension and a monoshock at the back. Available in two variants, single disc and dual discs with CBS, the CB Hornet 160R comes with a starting price of Rs 79,900, ex-showroom, Delhi. In the past, Honda’s premium sub-150cc models haven't really won over a lot of customers. However, with the Hornet, things look quite promising, at least on paper. If there’s one thing that looks slightly worrisome, it is the small 12-litre fuel tank, which could hamper the Hornet’s long distance credentials. But is that really a thing to worry about? Can the Hornet perform better than its arch-rival, the Suzuki Gixxer, in real-world conditions? Does it really herald a new era of street naked sports biking in India? We’ll have all the answers tomorrow after we take it out for a short spin.